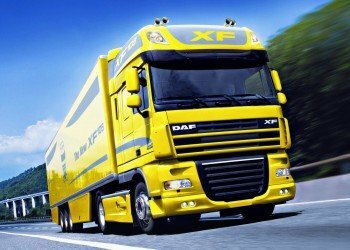 Before taking your HGV practical test you will need to take your theory test. However, before doing this you will have to already be in possession of a provisional HGV license, for which you will need to be 21 years of age. The HGV theory test is similar to the standard driving test in its format, which you will already have had to pass if you are applying for an HGV license. It is divided into two parts, consisting of the multiple-choice section and the hazard-perception section, and you will be required to achieve certain results in each one if you are to pass. The test will involve the use of computers with touch screens. The first section is based on multiple-choice questions, whereby you are given a selection of possible answers to choose from. You will sit at your own computer screen, and you will be given instructions on how you are to complete the test. Ask any questions if you are unsure about anything at this stage to save time later on. You then have the option of a practice session to familiarise yourself with the test. When you start on the real version of the test, questions will appear on the screen, along with a choice of possible answers. You should be aware that some questions have more than one correct answer. The test consists of 100 questions, and you will have a time limit of 1 hour and 55 minutes to complete it. This gives you just over a minute on each question, which should be plenty. You also have the option of highlighting questions to come back to later so that you don’t get stuck on one that is bothering you. In order to pass, you will need to get 85 of the 100 questions right. The second part of the test concerns hazard perception. This involves watching videos and looking out for any possible hazards as if you were driving on the road yourself. It starts off with a video explaining the process of the exam, so ask any questions if you are unsure. You will then watch through numerous videos of general driving scenes. It is your task to spot the hazards as they happen, and there may be one or more than one hazards in some cases. The earlier your respond to the hazard that is taking place, the more points you will score, so you will have to be alert and paying attention, just as if you were driving. You can score up to five on each video, leading to a total possible score of 100. Due to the nature of the test, you cannot return to answer any of the questions, and you will need to score 67 to pass. If you pass both sections then you will have passed the theory test, and you will receive a certificate as well as a letter stating this. You can then apply for your practical test using the certificate.